The DXN Trainer gives off the perfect summer vibe with a premium buttery suede upper. The aqua toe box and blue mid sole/back heel gives the DNX trainer an amazing contrast. 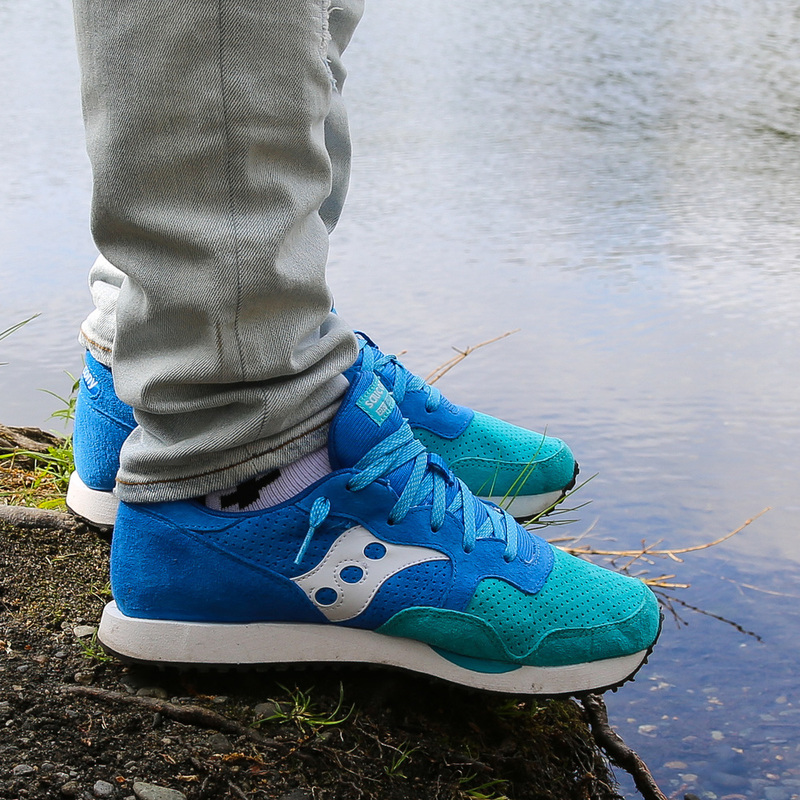 The white sole and Saucony three dot logo makes the shoe pop. The DXN Trainer has a blue mesh tongue with light blue laces mixed with aqua highlights. The subtle Saucony branding is only bound on the back heel tab and top of the tongue. Saucony has been coming out with some very interesting colorways, expect them to bring more quality products as the brand realigns itself this year.